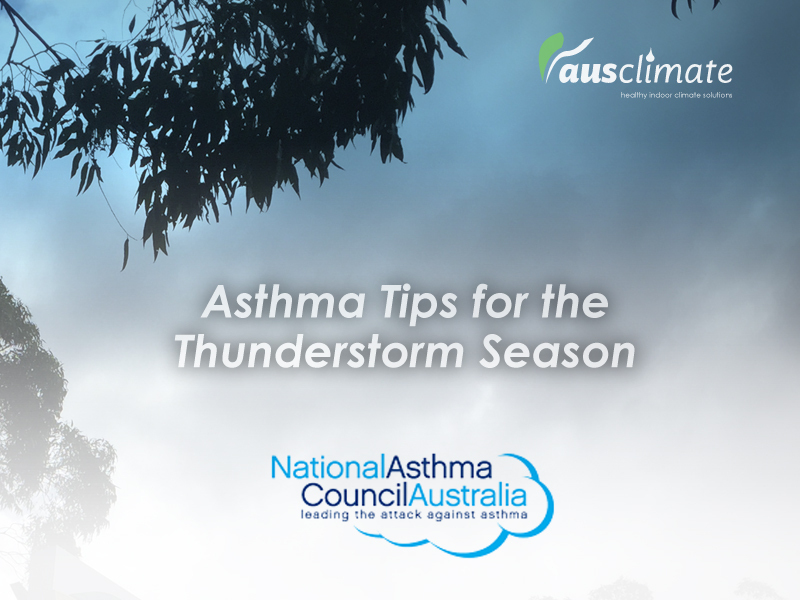 A great article here from our friends at the Sensitive Choice programme of the National Asthma Council with some handy tips for Asthma sufferers going into this years thunderstorm season. Thunderstorms can have some shocking effects on those of us who suffer with Asthma, from standard flare-ups of those typical Asthma symptoms, to sometimes, much more serious Asthma scenarios. It’s all about being prepared when the thunderstorm winds bring those pollens out to play. Please take a look at this useful article & protect yourself & your loved ones as we approach the season. For all of our Asthma sufferers out there, keep an eye on this space, we’ll have some more great insights & handy tips heading into this years National Asthma Week. We’ll also have details on our annual Ausclimate National Asthma Week Asthma Awareness Special. This years National Asthma Week will run from the 1st to the 7th of September. We are very proud of our partnership with the National Asthma Council Australia Sensitive Choice and our Sensitive Choice approved Air-Purifier & Dehumidifier range. Thunderstorm asthma is a potent mix of pollen and weather conditions that can trigger severe asthma symptoms in a large number of people over a short period of time. Thunderstorm asthma may occur when a storm strikes on a hot and windy day during pollen season (early October – late December), when there are high levels of pollen in the air combined with a certain type of weather event. When a storm front hits, the pollen grains absorb the moisture and burst into tiny particles. The thunderstorm winds blow the particles down to ground level, where they can be inhaled deep inside the lungs and trigger a serious asthma flare up. Weather conditions like these can also lead to breathing problems being experienced not only by people with asthma but those who have seasonal hay fever. People who wheeze and sneeze with hay fever from pollens during spring are most likely to be affected, even if they have not been diagnosed with asthma before. On the evening of Monday 21 November 2016, Victoria experienced severe thunderstorm activity. The thunderstorm was followed by a thunderstorm asthma event, the likes of which in terms of size and severity was unprecedented. It resulted in thousands of people developing breathing difficulties in a very short period of time and placing increased pressure the ambulance service and hospital emergency rooms. Who is most at risk of thunderstorm asthma? Those at increased risk of thunderstorm asthma include people with both asthma and seasonal hay fever, as well as those with past or un-diagnosed asthma. People with seasonal spring hay fever who have never had asthma are also at risk. Thunderstorm asthma can affect people living in metropolitan, regional or rural areas, even if they don’t have a history of asthma. What are the symptoms of asthma and hay fever? A person’s asthma symptoms can vary over time – sometimes they will have no symptoms, especially when asthma is well-controlled – and symptoms often vary from person to person. Many of our Sensitive Choice approved products and services are designed to help target pollen. To review our range click here. First Aid for Asthma Chart – step by step instructions on what to do in an emergency. Categories: info articles, news, tips | Tags: air purifiers australia, asthma air purifiers, asthma council air purifiers, asthma council dehumidifiers, asthma dehumidifiers, dehumidifiers australia, pollen air purifiers | Permalink.